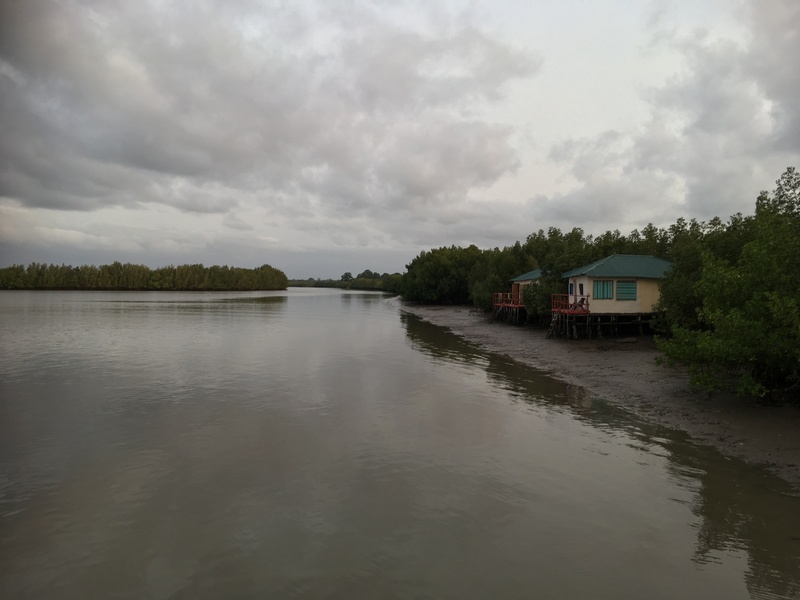 Mountain Experience were privileged to join Marlborough Brandt Group and Venture Force for their summer expedition to Gunjur in The Gambia. Together with local volunteers, the team started the first steps in what will be an excellent resource for the community. Mangoes grow in abundance in the season, but there are so many, that a significant proportion end up rotting on the floor. The community want to use this fantastic resource all year round and want to earn “Fair Trade” status for their orchard and future products. This fence was erected by Marlborough Brand Group together with Venture Force and local volunteers. It’s the first step in the long process of making a Fair Trade mango orchard. 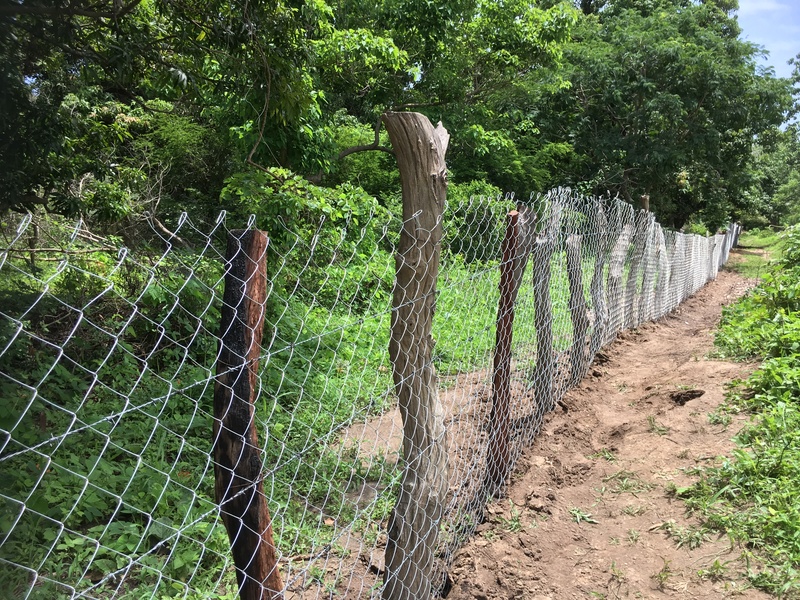 The team took down an old broken fence, which they then replaced with new posts and fencing. Future work is planned to instal a toilet block, solar powered bore hole pumps and infrastructure to make jams, chutney and dried fruit throughout the year. The team also undertook cultural visits to the local elders, and visited other parts of the country, learning about their history and current wildlife. First used as a prison to break the will of slaves before they were put onto a ship, then used as a fort to stop slavers transporting people down river. Of course, at this time of the year, it’s rainy season in Gunjur. The team didn’t let this stop their work though, and they embraced the rain, using it as part of their washing routine! 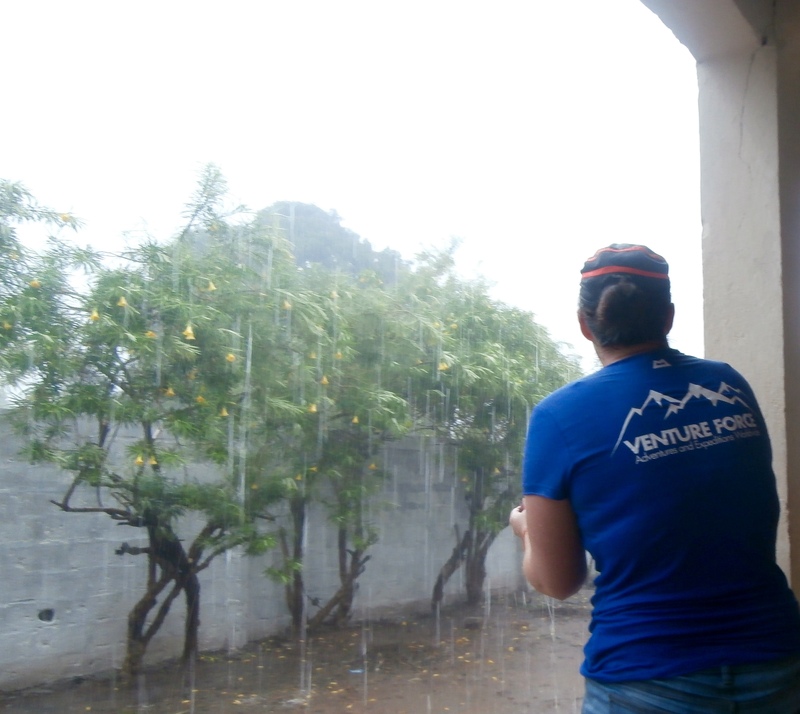 Lucie from Venture Force “enjoying” the rain!